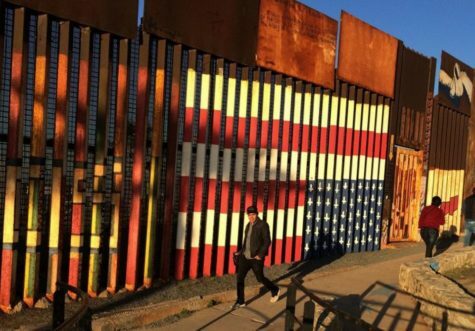 For years, an upside-down American flag painted on the Tijuana side of the US-Mexico border fence attracted little attention from Washington, DC. But a recent decision by US Customs and Border Protection to evaluate the removal of the flag is another flashpoint in a national debate over the Trump administration‘s immigration policy. The decision also comes at the same time another flag protest work, created by Josephine Meckseper as part of a nationwide project by the New York organization Creative Time, was removed from public display at the University of Kansas. Details.